Please fill in your data and order your test account*. All fields marked mandatory must be filled in. We will provide you with a test account within 24 hours. Have the opportunity to view the current state of the planning and take faster decisions. Visualization of complex issues of private and commercial construction projects planned in BIM or 3D. Present not just the visualization of architectural models, but each kind of 3D components in Virtual Reality. Virtual tours of new construction or portfolio properties for a better way of selling your realty. Work simultaneously on the virtual model and communicate with all project stakeholders in real-time. Visit your model in the created virtual environment and move freely inside the VR experience – with all available VR glasses or just on your computer screen. ALLVR is the solution for distributed meetings in each stage of the plan process. Thereby several project developers in different locations come virtually together directly on the model and can communicate about the state of the planning in real-time. All information from the BIM planning can be displayed virtually on every component from the original planning. Architects and project developers can share all information in Virtual Reality. All 3D components can be changed in the virtual meeting. Hide and move of objects, change of colour and textures can be conduct via a virtual menu. Architects and further participants can comment or draw (in VR) on each BIM component. Like this the visualization can be highlighted during the virtual meetings and tasks can be created for further planning. With the BIM Collaboration Format (BCF) all notes which were created during the virtual meeting can be linked back into the respective CAD planning software. You can provide your wishes and tasks to the responsible people. It is possible to take part in the VR meetings with each device from each place in the world. The visualization and interaction will be synchronized live with all participants. Everyone see always the actual state. You can transfer your planning date directly from your CAD tool into Virtual Reality using the ALLVR plugin. Also the comments will be reimported back into your CAD software using the BCF format. Solar radiation, light effects and shadowing. See it directly on your model in Virtual Reality. Test our VR solution without any obligation! Talk to us and find out how you can profit from ALLVR's numerous features. Or request your free 30-day trial. News about Virtual Reality for architecture, real estate and construction. ALLVR develops a cloud-based business platform for visualization and communication based on Virtual Reality technologies for the industrial sector. 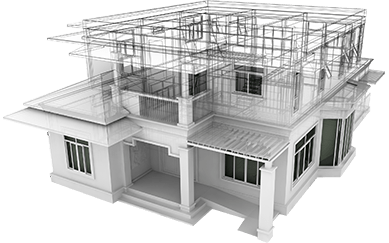 Our solution uses an automated interface between CAD data provided by architects, engineers and designers and virtual content. This enables our clients to meet virtually directly at the object, using extended communication features.